Did you know you could modify the 2014 WordPress Theme? Twenty Fourteen is the current default WordPress theme. When you install WordPress this is the free theme that comes with it. I usually use professional themes, but I have to admit that the Twenty Fourteen theme is nice. It is clean and neat and includes a major feature that has been missing in the previous default themes. It has a sidebar. The sidebar is the area to the right or left of the major text area in most themes. This is where Internet Marketers add functionality like a search bar, special badges, and perhaps free offfers. Without the side bar, a theme is pretty useless to most Internet Marketers. Why Modify the 2014 WordPress Theme? Nice as it is, it is missing one thing that I usually list as a requirement for any theme I plan to use. One of my clients really needed to use a free theme and so I took a look and discovered that we could modify the 2014 WordPress Theme with very little effort. the ability to have a landing page without a side bar AND without a header. While the theme comes with a "landing page" option, that page has a header (your blog logo and the menu options to navigate your blog). A little background – Google and Facebook want you to send visitors to pages where they can navigate and see that your website is has lots of information about your niche. We can understand that, but it does give vistors the ability to leave your offer and wander away. There are times where you want a page that has no sidebar and not navigation options. You want vistors to have one choice- opt in to you offer or don't opt-in. Solo ads and JV Giveaways are good examples of places where you are not required to have a header and navigation and probably don't want to have them. Side note – Recently I have been putting a small copy of my blog header at the top of my offer pages. Since I use that header on the top of my emails and on my facebook fan pages, I want my visitors to see who is making the offer. This does two things – it exposes them to me (along with my offer) and if they already know me it gives my offer extra credit. What I often don't want is for my visitor to wander away from my offer. We wanted to get rid of the left side bar/menu area. How Do We Modify the 2014 WordPress Theme? First lets look at what happens when you create a new page so we can see what our page options are. You can see we have three options. I'm going to ignore the Contributor option. You can come back and fix it if you need it later. As I said above – I really don't want a menu on the left and I want to be able to display a page without the header and navigation bar. So let's go about getting rid of the menu on the left. First we will find the menu option to Customize the Theme (Most themes have options you can turn off and on. For example the tag line at the top of the page is set in the Customize the Theme section. Now we go down and find the section that talks about the left sidebar. Here you can see we have a way to add widgets to the left sidebar, but no way to turn it off. Ah well – it isn't that hard to get rid of it. We normally don't go into the editor, but this one is VERY SIMPLE, so off we go. Let's find the main page file. There is an Update File button right below the file. Click on the Update File button and you are done with this file. Now let's do the same thing to the File-Width Template file. Put the two slashes right before the "get_sidebar();" line and click the Update File button. These two small changes have turned off the left sidebar. Now lets create a new template that has no header. To do this you need to create a file on your WordPress Host. I'm going to show you how to do it with FileZilla. There are other ways to do it. If all else fails you can phone the Support desk at your hosting service. They usually will be happy to copy a file or create an empty file for you. Connecting FileZilla is topic unto itself. I wrote a blog post a long time back about it and there are many YouTube videos about it. You hosting Support desk people will also be happy to help you if you need it. #1 – I logged into my web hosting service with FileZilla and opened the files in the right panel. I found my blog and opened folders until I found the Themes and the Twenty Fourteen theme. Click on the file on the right side and hold the mouse button down while you drage the file to the left side. Once you are done there is a copy of the file on your local computer. Rename the version of the file that is on your local hard drive. Now go back to WordPress and the Editor page. Refresh that page and you will see that you have a new file. #1 – the file name has our "no-header" informati9on in it. #3 – Comment out the linke that says get_header() (Add two slashes at the beginning. Now cick on the Update File button and the edits are done. Now lets go edit our sample page again and see iwe have a new page option. When we choose the Full Width No Header Page, we get a page with no sidebars and no header. Our goal was to Modify the 2014 WordPress Them and we have done that. P.S. If you are working to move your business online and it all seems overwhelming, I can help! My team and I are currently working with best “Earn Money Quickly From Home” Program I’ve ever seen (and I’ve seen them ALL!) I strongly urge you to take a look at http://HalePringle.com/ds. You can also take a look around http://HalePringle.com, especially the resources menu option. 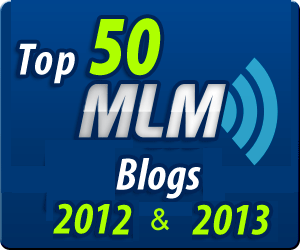 You will see that I specialize in list building, a Certified Trainer with Ann Sieg and am an award winning blogger. I’ve also written three books on AWeber (AWeber: Quick Start) and over 20 others. You can email me or give me a Skype call. I’ll give you the benefit of my years of experience and many thousands of dollars in training and searching the rabbit hole called Internet Marketing and Network Marketing. Thanks, Hale – This was laid out very simply – now I'm off to create mine! Got mine fixed but created a child template first and made the changes there, so if WordPress ever updates the parent template, my changes won't get overwritten.